Dell 9W085 backup tape kopen? | That's IT! Nieuw, verzegeld - tegen een absolute bodemprijs. Super DLTtape I (SDLT1) is the next generation DLT tape platform. Built upon the proven success of the DLT tape system, the defacto industry standard for mid-range computing backup and archive applications. 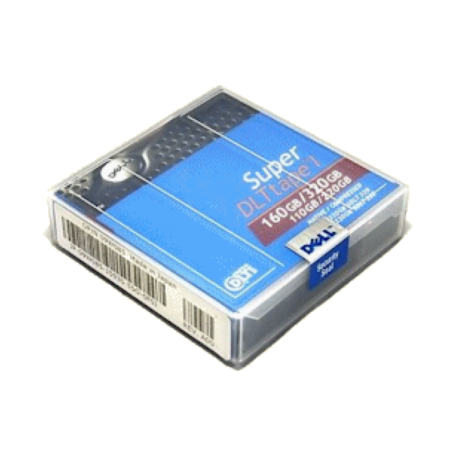 The Super DLTtape I cartridge has a native capacity of 110 GB on a SDLT 220 Drive, 160 GB on a SDLT 320 and a native transfer rate of greater than 10 MB/second. Ultra-high capacity, high transfer speeds.